“The sound of parenthood is the sigh.” So begins Gravity Hill, written from the perspective of a new father seeking hope, beauty, and meaning in an uncertain world. Many memoirs recount the author’s experiences of growing up and struggling with demons; Werner’s shows how old demons sometimes return on the heels of something as beautiful as children. Werner’s memoir is about growing up, getting older, looking back, and wondering what lies ahead—a process that becomes all the more complicated and intense when parenting is involved. Moving backward and forward between past, present, and future, Gravity Hill does not delineate time so much as collapse it. Werner narrates his struggle growing up in suburban Utah as anon-Mormon and what it took for him, his siblings, and his friends to feel like they belonged. Bonding in separation, they indulged in each other, in natural and urban landscapes, and sometimes in the destructive behaviors that are the native resort of outsidersincluding promiscuous and occasionally violent sexual behavior—and for some, paths to death and suicide. 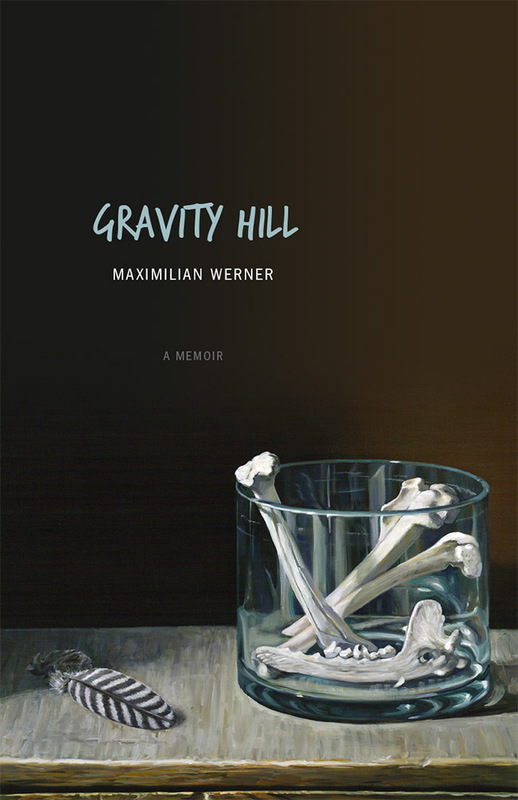 Gravity Hill is the story of the author’s descent into and eventual emergence from his dysfunction and into a newfound life. Infused with humor, honesty, and reflection, this literary memoir will resonate with readers young and old. Maximilian Werner earned an MFA in poetry from Arizona State University and is the author of the essay collection Black River Dreams and the novel Crooked Creek. His poems, fiction, creative nonfiction, and essays have appeared in journals and magazines, including Matter Journal: Edward Abbey Edition, The North American Review, ISLE, Weber Studies, Fly Rod & Reel, and Columbia. He lives in Salt Lake City and teaches writing at the University of Utah.